Lodge Brothers are a family owned company who have been serving the community for over 100 years. They are very involved in the community and ensuring that their client’s needs are always taken care on down to the finest detail. They have wonderful dedicated team of staff that are patient and empathetic with an attention for detail. They are constantly expanding and recently opened another branch of funeral directors Cobham. Arranging a funeral in Cobham you will be treated with the utmost respect and dignity. 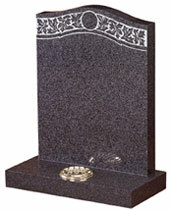 Their services offer Prepaid Funerals Cobham, Memorials & Headstones Cobham and Floral Tributes Cobham. Have a look at some of the ways Lodge Brothers are involved in the community. Claire Gibson of Brooklands Radio recently interviewed Director Beverley Lodge, about the prospect of managing the funeral of a loved one, and how at Lodge Brothers, they changes people’s perception of something really sad and stressful, into a positive experience where they feel they have shared a celebration of their recently departed’s life and taken the first step to move on.